The ABC Every Business Should Learn! With the expected increase of cyber-attacks all over the world, it has become essential to build and maintain a consistent and interactive cybersecurity program within an organization. On 21 July 2018, hackers were able to access personal information of 1.5 million patients from SingHealth, which is Singapore’s largest health care group. It also included the prime minister’s information! As a response, the hospital augmented all of its IT security measures, this involved ending internet surfing at work, adding additional controls on workstations, improving system-monitoring processes, and resetting systems accounts. Even though all these measures are great, but they are reactive actions. Phishing e-mail: attempting to fool victims into revealing passwords and other sensitive information. Data stealing through web and mobile applications: leak of system, customer and personal information, banking credentials and credit card details. Ransomware: malware designed to infect victim’s machine and encrypt important documents, making them inaccessible unless a ransom is payed. 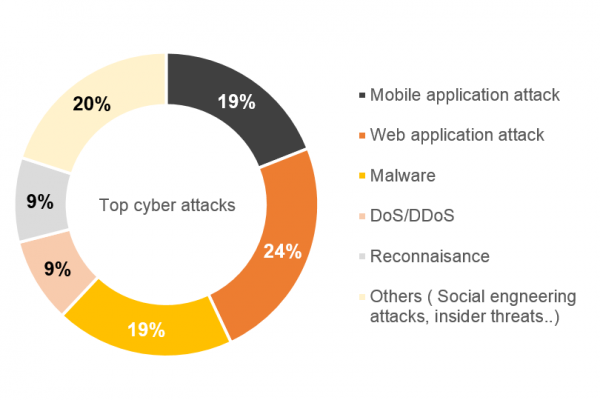 Denial-of-service: inability of customers to access services such as web and mobile applications due to vast amounts of network traffic generated by attacker. So how to assure optimal protection within an organization? Assessment: evaluate current information security measures, identify vulnerabilities and gaps, analyze risks and derive a mitigation plan. 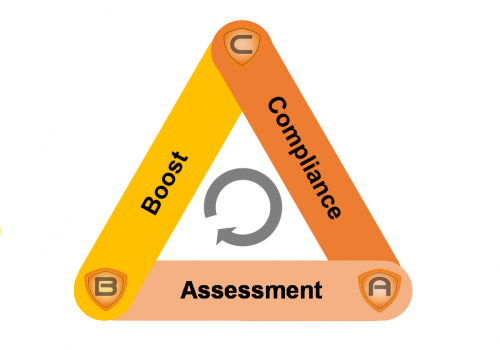 Boost: apply corrective actions, create and implement adequate security standards, define required solution and boost security awareness overall organization. Compliance: measure and monitor compliance level to security standards and maintain accountability throughout organization. This transformation will allow organizations to define and measure cybersecurity assurance indicators. Once this step is done, improvement can be achieved and sustained by increased accountability inside the whole organization. At Cyberteq, we have developed an effective solution that will revolutionize the way cybersecurity is implemented. Contact us for more details.